Imagine a Japanese-style garden, were a viewer can only ever see a particular portion of the garden depending on where they’re standing. The short film selections in the Wavelengths program at the 2018 Toronto International Film Festival position the spectator to see specific mechanics of filmmaking break down, providing the viewer with distinct deconstructions of various film elements, including recorded image, sound, synecdoche, time, and space, the range of which calls for a multiplicity of readings. Consider the methodological lens of Robert Stam’s Subversive Pleasures, which takes its cue from the translinguistic theory of Mikhail Bakhtin: Seeing landscape footage, for instance, first as a ‘sentence’ (a mountain in the Andes or Oregon) and then as an ‘utterance’ (land once inhabited by indigenous people that is now the site of commercial exploitation or land in the path of totality of a solar eclipse) calls the nature of looking at landscape into question. 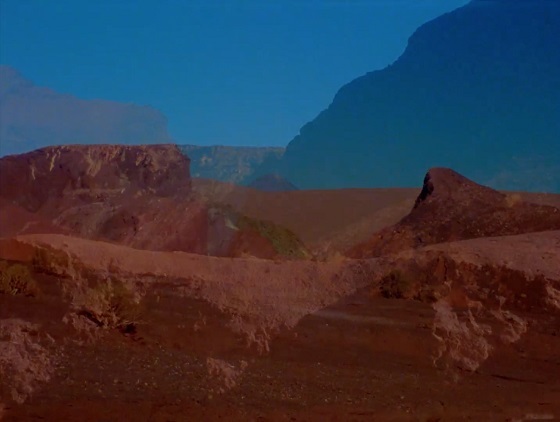 Malena Szlam’s Altiplano  is a wordless, non-narrative experience, shot on 16mm film that has been enlarged to 35mm. The viewer sees landscapes throughout northern Chile and northwest Argentina, at times in a double exposure that gives the impression of forms fusing together as if by the heat and churning onscreen. The viewer notices the physical movement of frames, revealing two or more images over each other together with changes in the image’s saturation and tint. The camera gradually turns to the sky, and in doing so the film occupies a continuum with Szlam’s Lunar Almanac (2014) in its return to the image of the moon. Formally, the film’s editing resembles that used by Werner Nekes and Dore O in their films made throughout the 1970s, though given its subject, creates a disruption in a landscape. The viewer also hears low-vibration drones and pangs, suggesting a storm, earthquake, or other large-scale natural disturbance. In attributing an identity value to the images, however, they redefine themselves. Altiplano was filmed in the Andes Mountains, on the land originally inhabited by the Atacama, Aymara, and Calchaquí people -much of which is now the site of geothermic mining for saltpeter and nitrate. The double exposure, editing, and sound thus connote modernity’s disruptions of an ancient space. Filmmaker Ben Russell contributed to the film’s sound design, and when seen in the context of mining -specifically Russell’s documentary Good Luck  – the vibration noise and mountain imagery take on a new dimension. One could also interpret the flux of saturation and tint -rendering the mountains and salt beds in every color from blue and green to orange and red- as an allusion to a wiphala, a mosaic-like emblem of certain indigenous people of South America, including the Aymara. A sequence early in Mary Helena Clark’s The Glass Note features an uninhabited beach together with the sound of waves, intercut with women hitting large boulders with hammers together with the sound of their impact. The sequence contrasts implicit and explicit sound: The sound of waves coincides with the image of a beach, but not by necessity sense the waves are not actually seen, whereas the sound of hammers hitting boulders coincides by necessity with their image onscreen. A shot that follows then complicates explicit sound: A noise suggesting air moving through a vent or duct is heard over the image of a porous rock, later revealed to be the sound of the machinery of a flatbed scanner. The Glass Note gradually creates a disparity between what is onscreen and what is heard, as with a sequence of black and white still images set against a rumbling noise. At the same time the staccato movement of those still images seems as though it could produce the sound heard. According to Clark’s statement, the intention with The Glass Note is “…to understand the body’s permeability and to extend the sensorial beyond the corporeal, playing with notions of ‘thrown voice’ and the untrustworthy image.” A point of comparison might be Hollis Frampton’s (nostalgia) (1971) or Dietmar Brehm’s The Murder Mystery (1992), both of which explore sound through the disconnect between onscreen images and their sonic accompaniment. Clark’s use of extreme close-up in photographing the points of origin for human-produced sound -mouths and throats- are filmed silent and accompanied by the sound of a glass harp, demonstrating the divide between the organic and artificial. Celia Perrin Sidarous’ Slip approaches the traditional images of southeastern Europe -clay, marble, olive trees, and so on- as at once an abstracted material in still life, cultural deposit in situ, and removed experience in a book. The recurring motif of the film is a series of arch compositions, made up of fruit, pottery, and plant fragments, occasionally manipulated by a hand, that would remind the viewer of symbolic images in Sergei Parajanov’s The Color of Pomegranates (1969) or Dutch Pronkstilleven from the seventeenth century. Like those images, Sidarous’ objects are culturally charged. Just as pomegranates function as a symbol of Azerbaijan and objects from disparate parts of the globe in Dutch still life function as an index of the reach and wealth of the Dutch Empire, Slip features objects alluding not just to its site -Greece- but to the Greek civilization lost millennia ago. Sidarous does this by juxtaposing the micro and macro: The viewer sees vistas of rolling hills, marble ruins, and foliage, pitted against many of the same materials in miniature. Both images are offset by hands flipping through a photo book containing reproductions of both ruins and small sculpture. Visually, the photo book serves as a kind of ‘connective tissue’ between the still life compositions and the footage of the ruins in that the book preserves the fragment of a vanished civilization yet is still an object one manipulates with their hands. 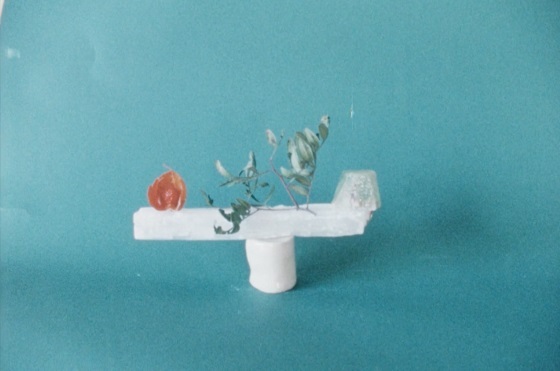 The arrangement of objects also mimics the construction of classical Greek temples: The still life images invert the post-and-lintel technique developed in the ancient world, and are eventually toppled by an artificial breeze created off-camera. The titular slip refers to the liquid form of clay, suggesting a building block for something larger. The images of a pitcher pouring slip and of column fragments together collapse not only the scale and scope of materials but also past and present, the image of slip being haunted by a spectre of the past -to use Derrida’s words- in that such an image could not exist without the civilization that came and went before it. The subject of Jodie Mack’s Hoarders Without Boarders  is a collection of minerals from the collection of Dr. Mary Johnson. 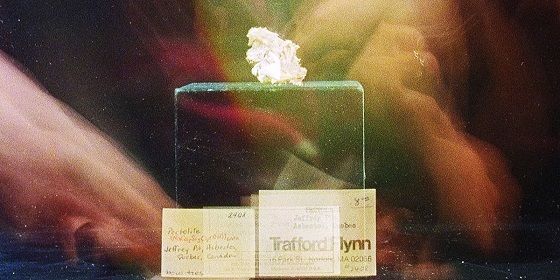 The centerpiece of the film is a time-lapse sequence of Mack placing the minerals and their corresponding identity cards on a display stand. The movement happens so quickly that there is no reasonable way to read the cards or dwell on any one object, which evokes the experience of seeing such objects in a museum space while not replicating it: One typically moves through a space where objects are still, whereas in Hoarders objects move while one remains still. L.COHEN  is comprised of a single take, 45 minutes in length, of a farm in Oregon “…on a very special day,” according to the film’s synopsis. The film is essentially a still image that -with the exception of a brief sequence- remains unchanged with no event or movement. The only ‘change’ that takes place is a solar eclipse that lasts 122 seconds. The viewer learns that the farm in Oregon happens to be in the eclipse’s path of totality, and the “very special day” is August 21, 2017. In those two minutes, other changes occur as well: A full eclipse, for instance, causes a 20-degree drop in temperature, which in turn causes wind to increase, and as the landscape emerges from the eclipse, the viewer sees haze in the sky that has blown in from a California forest fire. Seeing Mack’s and Benning’s films in the same evening -practically one after the other and in the same building- produces a binary of sorts not just between temporal and physical spaces but also between the spaces where natural phenomena and geological forms exist. L. COHEN is a landscape featuring natural phenomena in situ: mountains, pasture, trees, and the like -all filmed in real time. Hoarders features ‘captive’ objects in a museum space, filmed partially in a manipulated time frame. Both films together also suggest a back-and-forth between ‘captivity’ and ‘the wild’ regarding natural phenomena. Hoarders is bookended with shots of stones arranged in specimen drawers, denoting their removal from their sites, while L.COHEN observes phenomena in its site, such as cows and crickets in an uproar when the world has suddenly gone dark. Because the Wavelengths shorts program is essentially an ensemble, it becomes necessary to reduce and extrapolate content, which in turn effects one’s reception. The films mentioned here thus form a sketch of the breadth of works featured across the Wavelengths platform, and while they are distinctive when taken at face value, they become almost fundamentally different viewing experiences when the viewer is made aware of certain contextual values.